JOSEPH (second right) engages with Lusaka University students. IN ZAMBIA, art unfortunately is often not part of the school curriculum. 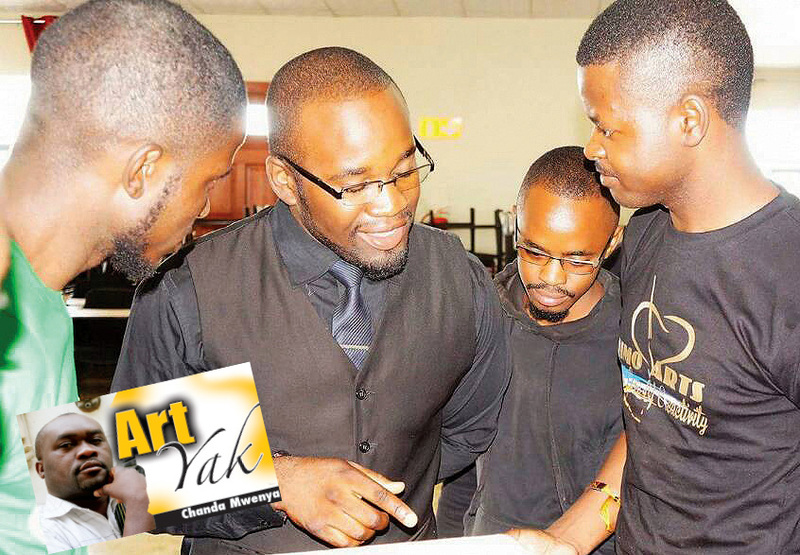 This could be the motivation for Lusaka-based youth art group Primo Arts to taking the subject to learning institutions and engaging the students in the subject of creativity. Primo Arts recently toured some Lusaka schools and demonstrated to the students that art can be a rewarding career. “The idea of visiting the schools was to raise creative awareness and to encourage students to be productive with their creative talent,” says Joseph Mvula, a youthful artist himself and founder of Primo Arts. “Most of the youths in schools are talented, but they need to be motivated and make them self-reliant after they leave school. Primo Arts is barely two years in its existence but it is determined to make a practical difference in the lives of the Zambian youths. Some of the Lusaka schools Primo Arts visited last year include Rockview University, Lusaka University and The Great North Academy. And this year, on its continued quest to take art to learning institutions, the group will visit the University of Zambia (UNZA) and the International School of Lusaka (ISL) among others. Joseph says Primo Arts will not relent in taking art to the schools and that the group is also enjoying a good relationship with Miriam Zimba, an art promoter who is helping out with administrative errands. “As you may be aware, artists are not good managers and marketers of their products and services, so Miriam is managing the group in that aspect,” Joseph says. Miriam was inspired to lend her expertise to Primo Arts because of the group’s creativity and determination. She is hopeful that in the near future, Primo Arts will break the local and international market with its’ creative products. Primo Art has an affiliation of some 65 members of multi-skilled youths dotted along the line of rail. 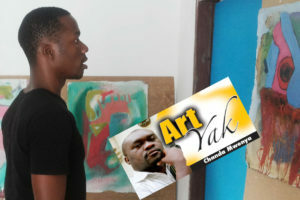 Some of its renowned members are Kelly Zulu, perhaps famous for his life-like pencil drawings; Daniel Matabishi, celebrated for his spray-painting skills which he does with his canvas set upside down; Edson Mubanga Chumfwa; Mercy Gondwe; Elizabeth Skana Tiza; Christine Maleki; Abigail Palu and Rene Monde. The initiative by Primo Arts of taking art to learning institutions should be commended. The teaching of art in Zambian schools is not as aggressive as the other subjects. Many primary schools especially in rural areas do not teach the subject. It will be commendable if Primo Arts expands its’ creative outreach to rural schools.